We are autism specialists and can provide you with trusted information for free. Our research and information team are available to answer any questions you have about autism. DO YOU TEACH STUDENTS ON THE AUTISM SPECTRUM? 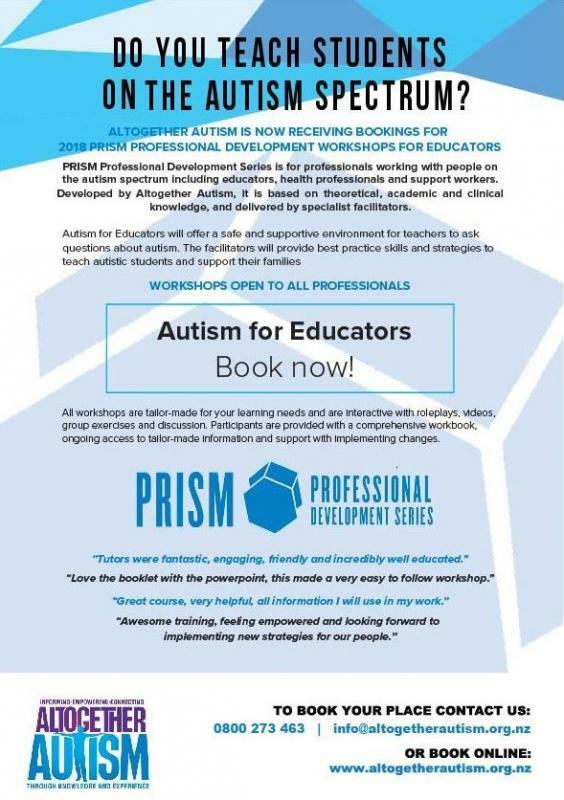 Altogether Autism is now receiving bookings for PRISM Professional Development Workshops for Educators. Autism for Educators will offer a safe and supportive environment for teachers to ask questions about autism. The specialist facilitators will provide best practice skills and strategies to teach autistic students and support their families. Gaining knowledge, understanding and strategies can make a dramatically positive difference when teaching students on the autism spectrum. Each workshop is tailor-made to meet your learning needs, and can be delivered at a time and place that suits you.